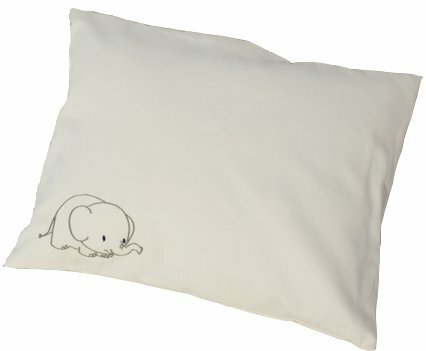 Lifekind Organic Toddler Pillow with Elephant Pillowcase 12x16"
A best seller - the perfect organic pillow for toddlers over age one! Our boudoir-size cotton pillow is paired with an envelope-style pillowcase made of certified organic cotton ivory sateen. Handmade in the USA. (12x16") Toddler Pillow Care: To renew and deodorize your wool or cotton pillow, expose to sunlight and fresh air for a couple of hours. To eliminate odors, sprinkle baking soda on the pillow's slightly dampened surface, then when dry, simply vacuum up. Do not wash.